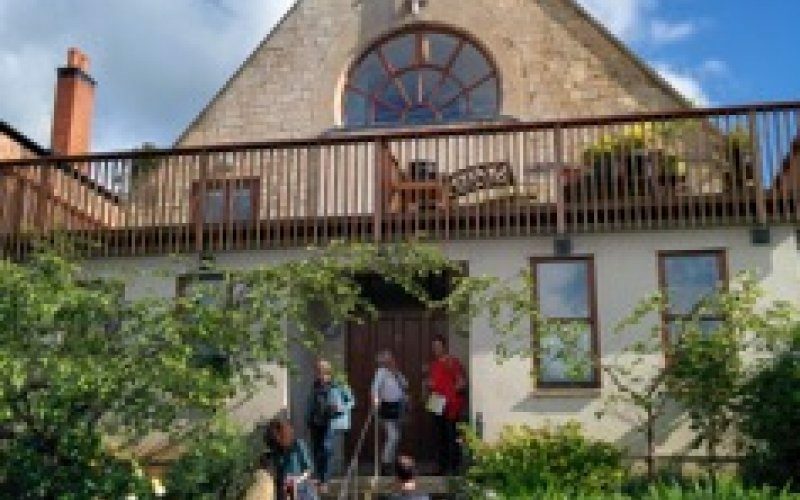 Fiona Sielski Waters from Kent Co-Housing hitched a ride with the Samenhuizen Belgian group this June as they toured England exploring co-housing and intentional communities. It was a fascinating tour ranging from communities with enormous grade II listed buildings with land for food growing and animal rearing to the more energy efficient new builds of today, plus the inspirational Camphill Pennine specialist college in Wakefield. This group had already toured Germany and Denmark and included association members, some living in co-housing and others wanting to set up projects, plus architects and some Dutch local council planners. The tour was excellent and featured: The Old Hall Community in East Bergholt, Suffolk; Brazier’s Park in Oxfordshire; Springhill Co-Housing and Co-Flats Landsdown in Stroud; Canon Frome Court in Hertfordshire; Forgebank Co-Housing near Lancaster; Camphill Pennine in Wakefield and LILAC in Leeds. Fiona has written a great report on the trip which is available below.